It’s every writer’s greatest fear—pouring blood, sweat, and tears into writing hundreds of pages only to realize the story has no sense of urgency and no internal logic, so it’s a complete do-over. The prevailing wisdom in the writing community is that there are just two ways around this problem: pantsing (winging it) and plotting (focusing on the external plot). Story coach Lisa Cron has spent decades discovering why these methods rarely work and coming up with a powerful alternative, based on the science of what our brains are wired to crave in every story we read (and it’s not what you think). In this revolutionary guide, Cron helps you crack the story code and create a novel, screenplay, or memoir that will keep readers riveted. Using one novelist’s evolving story as an example throughout, Story Genius takes you step-by-step from the first glimmer of an idea to an expansive, multilayered cause-and-effect blueprint—including fully realized scenes. By plumbing the nitty-gritty details of your raw idea to organically generate your story’s internal logic, meaning, and urgency, you’ll end up with a first draft that has the authority, richness, and command of a sixth or seventh. Imagine knowing what the brain craves from every tale it encounters, what fuels the success of any great story, and what keeps readers transfixed. 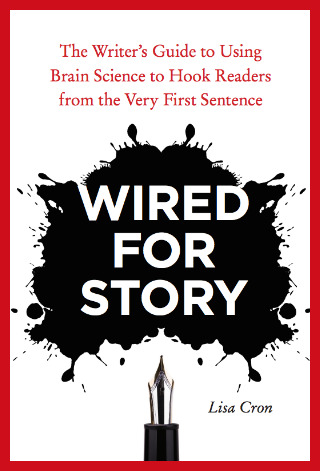 Wired for Story reveals these cognitive secrets--and it's a game-changer for anyone who has ever set pen to paper. The vast majority of writing advice focuses on "writing well" as if it were the same as telling a great story. This is exactly where many aspiring writers fail--they strive for beautiful metaphors, authentic dialogue, and interesting characters, losing sight of the one thing that every engaging story must do: ignite the brain's hardwired desire to learn what happens next. When writers tap into the evolutionary purpose of story and electrify our curiosity, it triggers a delicious dopamine rush that tells us to pay attention. Without it, even the most perfect prose won't hold anyone's interest. WANT CUSTOMIZED COACHING TO LEARN THE STORY GENIUS METHOD?